The environment and your face could soon owe a lot to the Goodwell Co. Be. The Goodwell Co. Be. toothbrush is like no other as it’s battery-free but is still a vibrating powered brush. That should mean a win for your teeth and another for nature. The Be. name stands of Beyond Electric, in case you were wondering. The environmentally friendly Be. 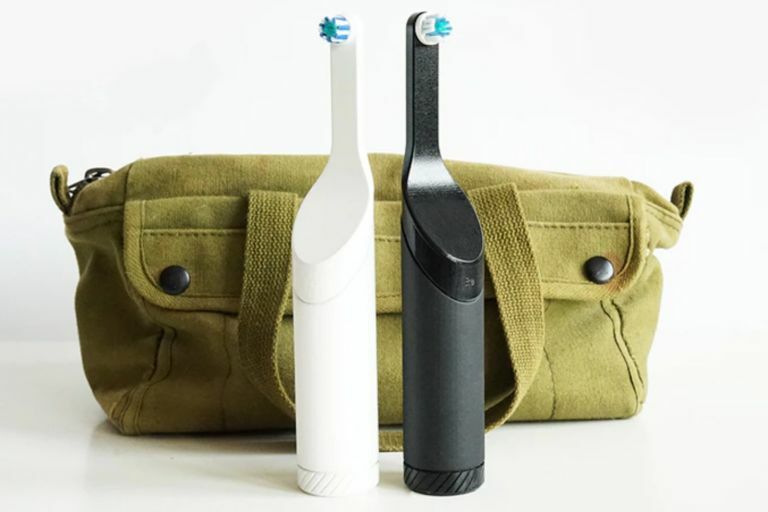 toothbrush is currently in the crowdfunding phase of development where it’s smashed its goal and near sold out already. This is because it offers a better way to clean your teeth than a traditional toothbrush but minus the battery waste and charging hassle of an electric toothbrush - all while being powered itself. But how? The Goodwell Co. Be. toothbrush features a nifty kinetic energy storage system that only requires two twists of the base before you start brushing. This will be enough to keep the toothbrush head vibrating to give you a deeper clean for a full two minutes. Those vibrations help fight tartar with “80,000 charcoal infused brushstrokes at the perfect pressure” says the creators. At the time of publishing there were still a few brushes left at $49, which translates to about £37 in the UK. This includes the toothbrush, a Snap-on travel case, three biodegradable brush head refills and a sustainable lifetime product promise. Delivery of the Be. is expected by Goodwell Co. to be in December 2018 and will ship to anywhere in the world.